List of the articles about the Raw Fruit Festival. You will find here a list of the article and videos about the Raw Fruit Festival. 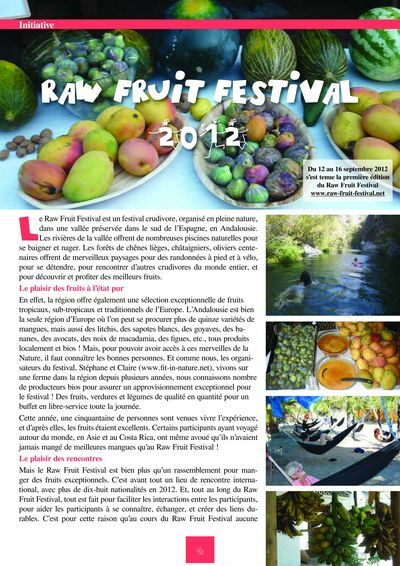 An article about the 2012 Raw Fruit Festival published in French in the Chou Brave, a rawfood magazine, in February 2013. You can read the whole magazine Chou Brave on the Chou Brave website, or the article with the pdf. 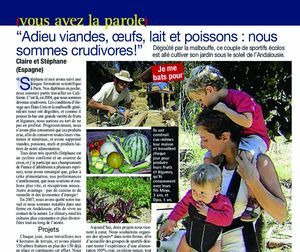 An article about Claire and Stéphane and the 811-friendly festival, published in France in March 2012. Read the full article in French on France Dimanche website, or with directly the pdf.